1) Our blueberries were hit with Japanese Beetles… they have become the bane of my existence. We have been working hard to keep them away and to save the plants — using sustainable good for the land, good for the people ways to control them… which means lots of WORK. 2) Little Farmer Girl’s favorite Chicken died when we got a heat wave earlier this month, she just keeled over from old age. Then about a week later the Easter chicks were attacked by a raccoon and *every* single one that had a name met its maker. We buried them all and so it has been very sad around the farm for her. We went from 24 birds to 2 overnight. So heartbreaking. 3) We started working our local Farmers Market on Wednesdays and most Saturdays and it has made for a hectic summer, but we have loved getting to know new customers and creating some fun new products to sell! In a few months we should have some new things to add to our Etsy store. 4) The Garden is in and growing. So far we have harvested a bunch of potatoes and onions and the herbs are growing like crazy. Looking forward to the harvest and to canning a few things. We have had these crazy HUGE green beetles that buzz like the beehives – I need to figure out what they are. If you know post a comment. 5) Beeswax from last years harvest is finally getting rendered and will be ready to make some creations soon! I’ll keep you posted on the fun projects we have had going on, but we need to get the camera fixed first. Which is why I haven’t been blogging as much. It isn’t much fun to just read text… those pictures sure add some punch. Water Keifer is one of those probiotic super stars. 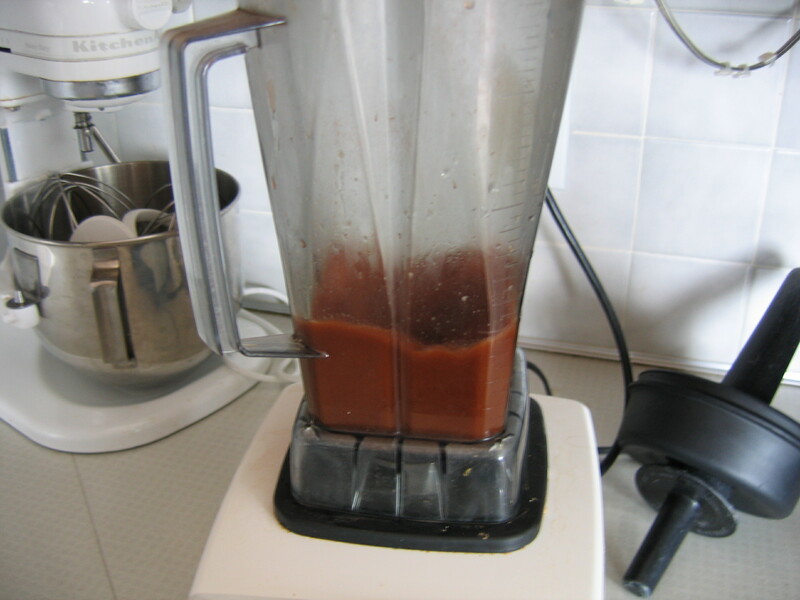 It is a fermented drink that provides a healthy dose of good stuff to your body. 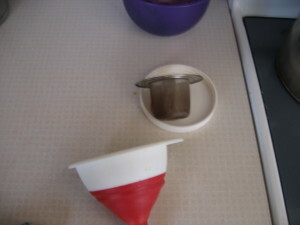 You then add a 1/4 cup of sugar to 1 quart of water and then toss your grains in . Let it sit for a day or sometimes a few days. Mine is usually ready after 2 days, but in cool weather it can take up to a week. 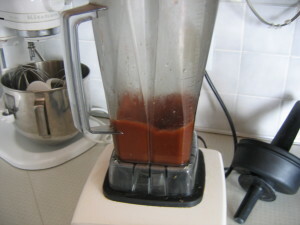 After it is sweet with a little tang and doesn’t taste like sugar-water, I strain out my grains. I use this tea strainer and put it in my funnel. 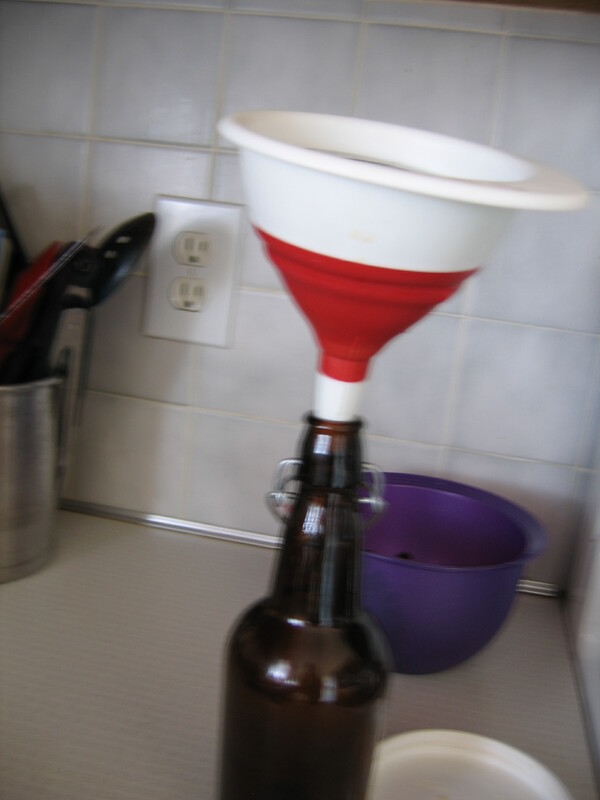 Makes filling a bottle really easy! 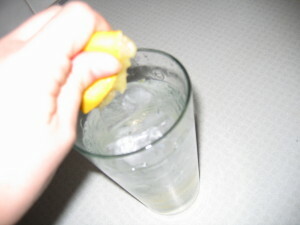 Then add some juice or lemon to flavor it a bit and sometimes if I really want something super sweet a bit of stevia. I also like to add chopped strawberries or crushed blueberries to plain Keifer water and let it sit a day or so to second ferment. Little one begs for the strawberry and loves the probiotic berries! Welcome back. Last time we talked about making Kombucca. You can enjoy it as soon at this point, but if you want to take your kobucca to the next level. . . .
After your kombucca is ready, I pour out the tea and leave the SCOBY in the Jar. I put my tea in a pitcher to make pouring in my funnel easier. 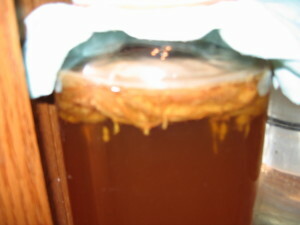 Don’t worry about the stringy looking things floating around they are part of the ferment and are healthy to drink (it is spent yeast from the Scoby). Then I start to fill the bottles. (Leave ample room if you are going to add flavors). I only fill to where the neck of the bottle starts. *Notice the bottle type I use. 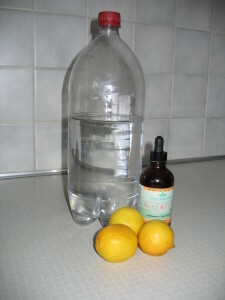 Being my frugal self, I used empty glass bottles (Think Snapple), but couldn’t get things fizzy. When I switched to these bottles my kombucca took on a whole new fizzy life. So it is worth investing in a few tools. Add in your flavors. My favorite flavors are strawberry, blueberry, and ginger. Feel free to use your imagination and add anything you would like to the second ferment. After your flavors are added, close up your bottles. Let them sit for a day or two to second ferment. Check them often — every day. Bottles can explode. I have been known to “burp” mine by opening and closing the bottle a couple times. When they pop when opened, I put them in fridge. They are ready to enjoy! When I am ready to enjoy, I put the tea strainer below over a glass and pour the kombucca through it. (Sometimes a new scoby develops in 2nd ferments). Nothing ruins my fizzy kombucca holiday like a Scoby slipping down the throat. Enjoy! Please let me know if this is helpful or if you have any questions! Another fun project from the farm. 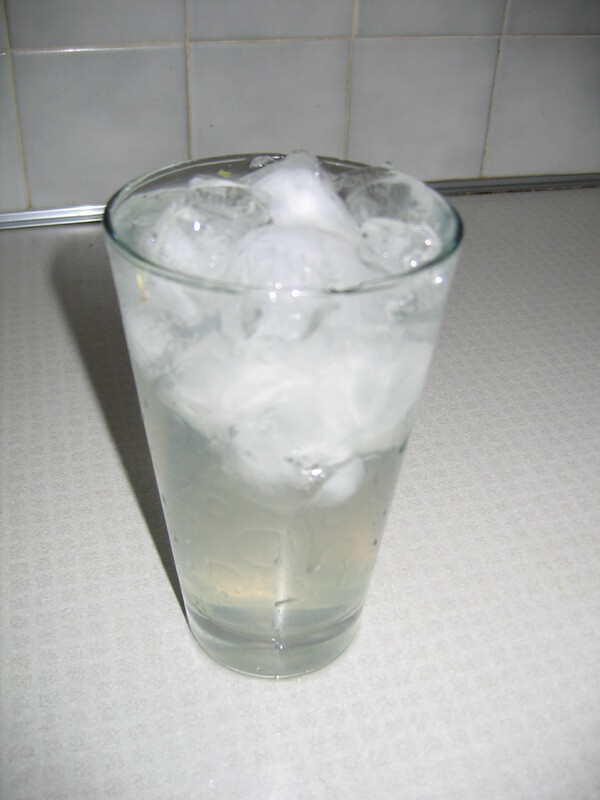 Today I am sharing about the probiotic drink that made it possible to kick the soda habit for good, Kombucca. Five years ago, I was working a trade show and had a horrible sinus infection. One of the ladies mentioned Kombucca and how it kept her from getting sick. I never heard of Kom-what? How did it prevent illness? What exactly is this miracle potion? This sinus infection had held on for months and it kept coming back. Would kombucca be a miracle cure? I took a mental note. I started to learn about it. This drink filled with vitamins, detoxes you, helps with digestion and boosts immunity. It is a superfood and had been around thousands of years. 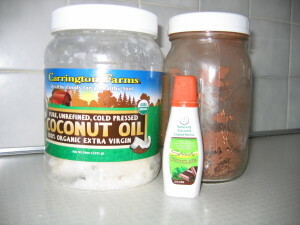 I went to our local health food store and scoured the shelves. I found a small area that had a few bottles of this magic potion. I bought one. Five dollars later, I was sipping this magic elixir. I didn’t like it. It tasted like fizzy cough syrup. It was horrible. I couldn’t even finish the bottle. That was it. I decided Kombucca, not matter what health benefits it offered was not for me. I mean who wants to drink cough syrup tasting stuff? Not me, especially when I could have a Pepsi for 1/5 of the price. NO THANK YOU Kombucca. Fast forward a year. I worked a temporary position at an office and a coworker and I started talking about health food and changes we were making to our diets. She mentioned kombucca. After telling her my story and how I had given up on it after my experiences. She encouraged me not to. I asked questions. I researched. She shared some kombucca with me. This stuff was good. It had strawberries floating in it. I wanted more and bad. She made it. YES she made it. The next day she came in with a SCOBY in 2 cups of tea and instructions for me. I went home so excited. 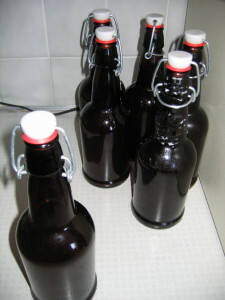 I made my first batch of kombucca and a few days later it was ready. It tasted fantastic. I drank 1 glass of it. And another. I had downed an entire quart of it. I would not recommend this. A quart of this magic potion, sent me to bed for an entire day. Kombucca detoxes you quickly. 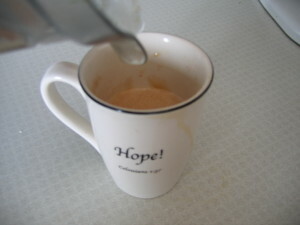 So trust me, start out with a 1/4 cup to a 1/2 cup daily and build up until you can handle more. The detox effect is real. Please learn from my mistake. Really you don’t want to detox quickly. Trust me. I decided to try a second ferment and sliced some strawberries and added the kombucca and berries in a jar and let it sit out a few more days. It was amazing, sweet, but not too sweet, and it had a great sweet tangy fruity flavor. I was hooked. Now I drink it daily and love it. Strawberry, blueberry and ginger are my favorite flavors. 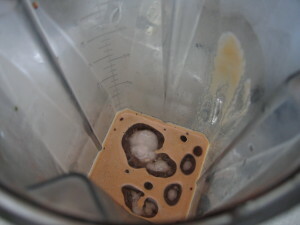 I will share more about how I make those flavors in another post, but first, let’s start with how to make “plain” Kombucca. Feel free to contact me if you need a scoby at orders@smallbarnfarm.com. Start by boiling a quart of water. Add your tea and brew for 5 minutes. 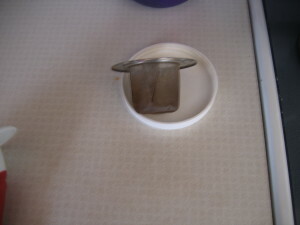 When the tea has brewed remove the tea bags or strain out the loose tea and add your remaining water. 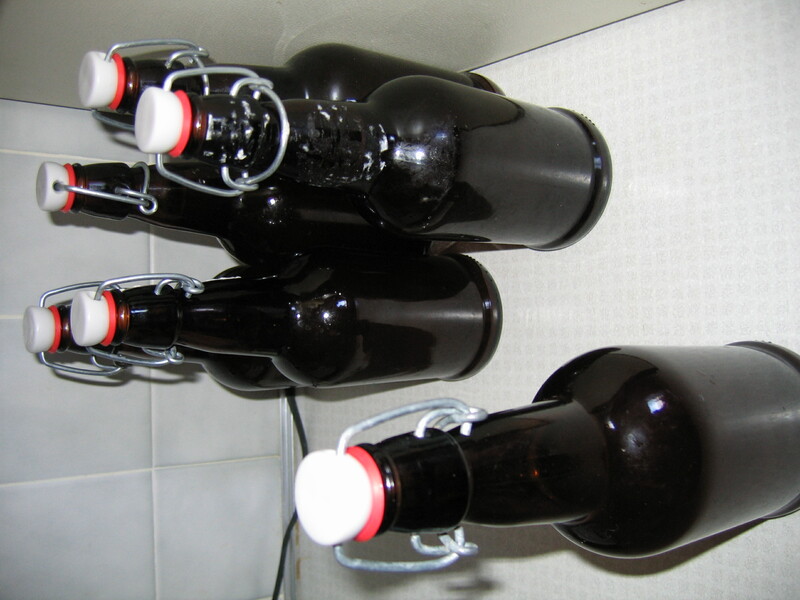 When it has reached room temperature, pour sugar tea into your fermenting jar and add starter tea (1 or 2 cups of kombucca) and the SCOBY. In the summer it is ready in a 1-3 days. In the winter I let it go 6 days or so. The longer it ferments the more sour it becomes. Keep checking and drink it when it tastes the way you like it. If it goes too long, it turns to vinegar. No fears if you “over ferment” and get vinegar, it makes great salad dressing and starter tea. 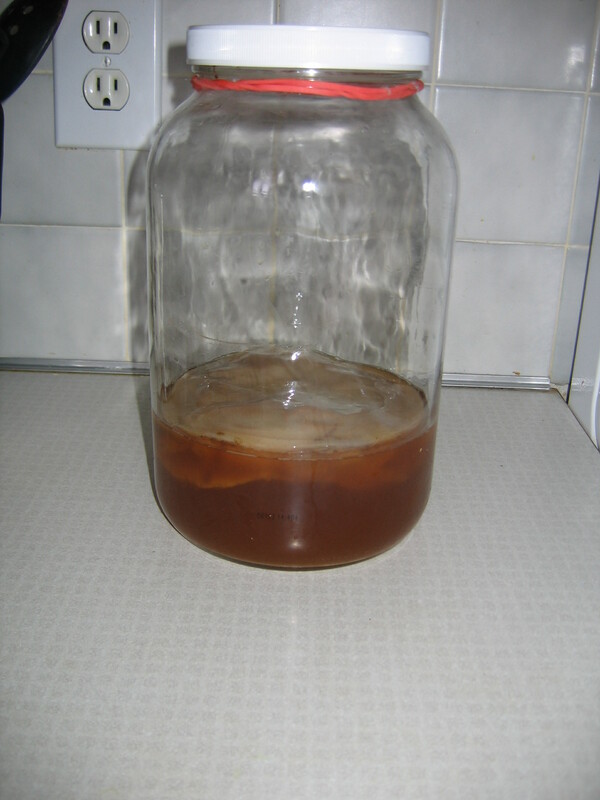 If your scoby is smaller, it will need to ferment longer. When your ferment is to your liking, it is time for a second ferment. Stay tuned for Part 2. *Please know I am not a doctor, please use this information at your own risk. I am sharing about my experiences and don’t want to be held liable for any issues you may have. If you have questions about Kombucca or its safety, please consult your own medical practitioner. One of my favorite go to meal ideas is homemade chicken nuggets. They are not only super easy, but kid friendly. If you are familiar with my blog, you will know feeding the freezer makes feeding my family much easier. 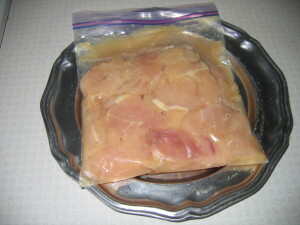 Here is a bag of chicken “chunks” that I tossed in with egg and coconut aminos and then froze. 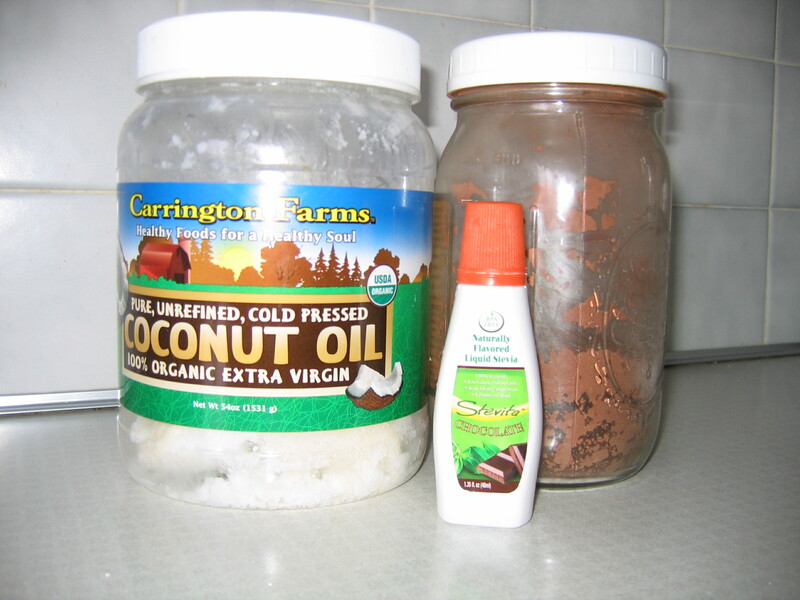 (Here is a link to the post on feeding my freezer). To prep your chicken for freezing or to use right away, toss chicken and a dash of coconut aminos and a bit of egg (if your chicken isn’t gooey enough to hold bread crumbs) into a bowl or Ziploc bag. 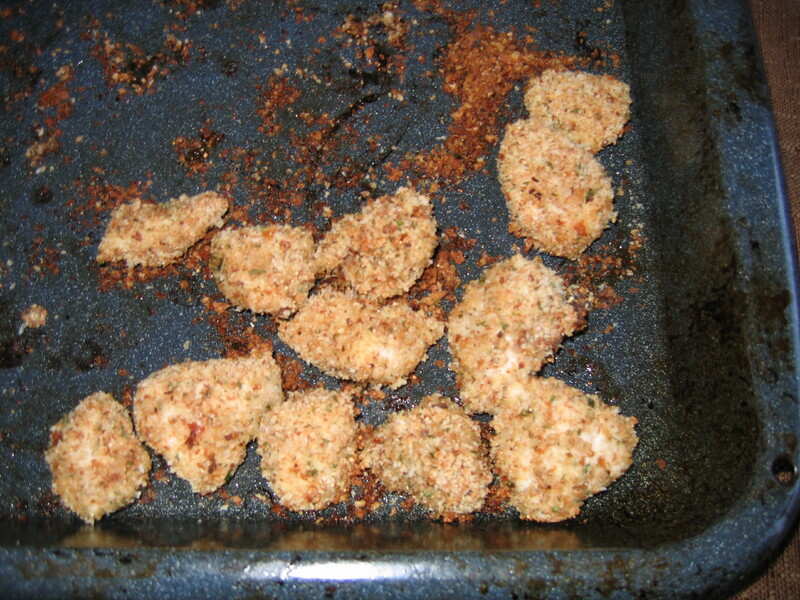 They are ready to turn into nuggets or be stashed away in your freezer. Add (mostly) thaw chicken chunks, a few at a time into bread crumbs spiked with garlic, onion powder, parsley and paprika. 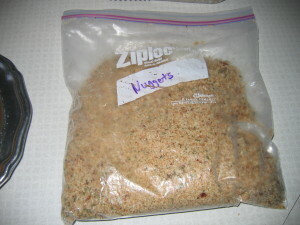 I have a dedicated bag of “nugget” crumbs that stay in my freezer. I usually just drop a bunch in my Ziploc bag and try not to add goo into the crumbs. If you get goo in the crumbs, you end up with bread crumb nuggets –which are not tasty like chicken nuggets — ask me how I know. Cover the nuggets with crumbs and place them on a baking sheet. Bake them at 375 for 5 to 10 minutes. Until they are cooked through and no pink shows in the middle. 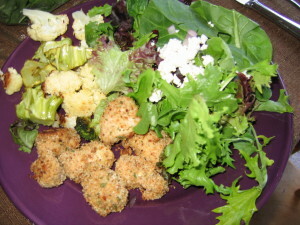 Serve them with salad, roast veggies and/or dipping veggies and homemade ranch dip . Makes a great kid friendly meal the adults enjoy too. My dear friends, so many of you requested my sugar-free/milk free mocha recipe. Let me give you some background on why this became a necessary part of Small Barn Farm, about a year ago, I had a doctor tell me my body didn’t like milk, sugar, eggs or grains. Looking puzzled at him, I replied “what will I eat?” As in I have attempted clean (as in no icky chemicals, no highly processed stuff) eating, but dairy, egg, sugar and grain free eating? What is left? After several weeks of nothing but veggies and meat, this lady decided it the time came to figure a few things out. After all the day starts with coffee AND cream AND sugar — no negotiating. 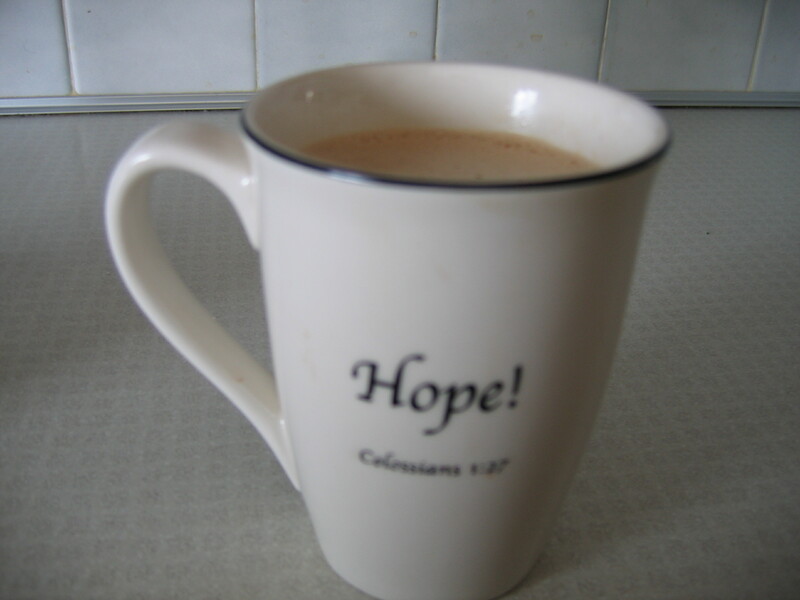 How is a girl to survive without cream and sugar in her coffee? She gets creative. Creativity breeds new things, new ideas and of course when you start messing with my morning java, well I begin to fear for my family. I read about bulletproof coffee (basically a 1/2 stick of butter in a cup of coffee). 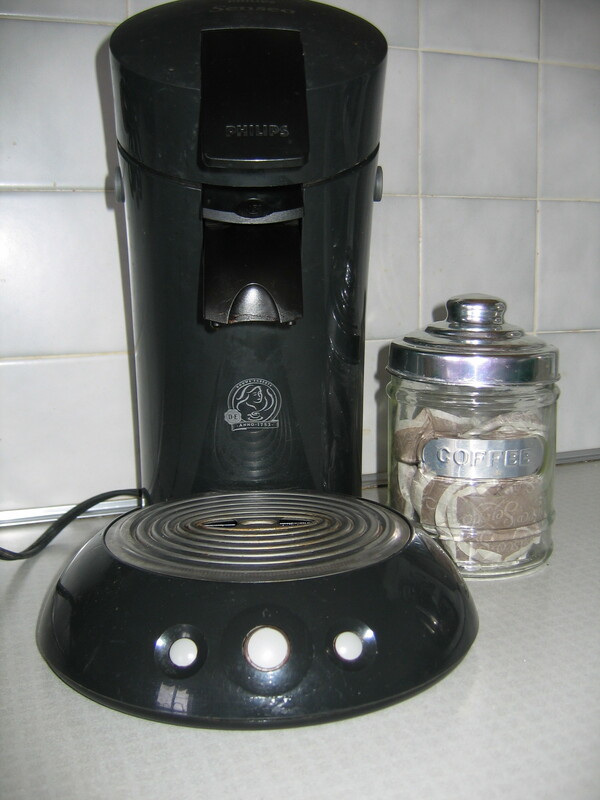 I tried bullet proof coffee . I plugged my nose. I gagged. I tried again. I just couldn’t do it. My reflexes just couldn’t take it. What to do? Brew a cup of coffee. I have this fancy Coffee maker that does one cup at a time and I love it. I use Mocha Pods (click here), but any coffee will work. Ready to enjoy! Little Menning even begs for this when she sees me making it in the morning. Yummy! I would love to hear what you think of my Mocha! You can also check out the best coffee makers in 2019 for new and better coffee makers. 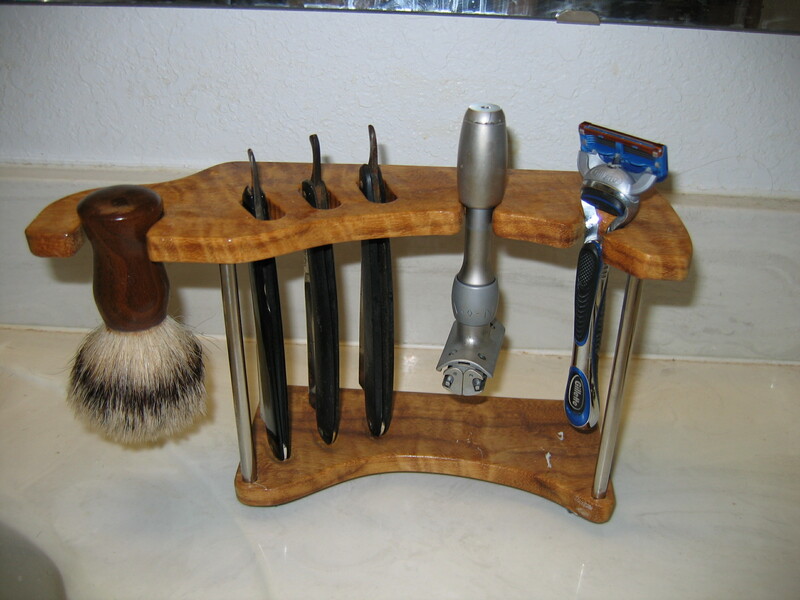 This is a Post from the man of my dreams about some changes to his daily routine: Two years ago frustration mounted at the cost of replacing razor cartridges and shaving cream. I started looking for alternatives to cut costs — after all several blade cartridges a week add up to big bucks and those cans of foamy soap don’t last long. First came the extreme, something only attempted a time or two before — straight razors. I went to a barber that would shave the back of my neck with a straight razor after a hair cut and it felt good. Would it be the same on my face? 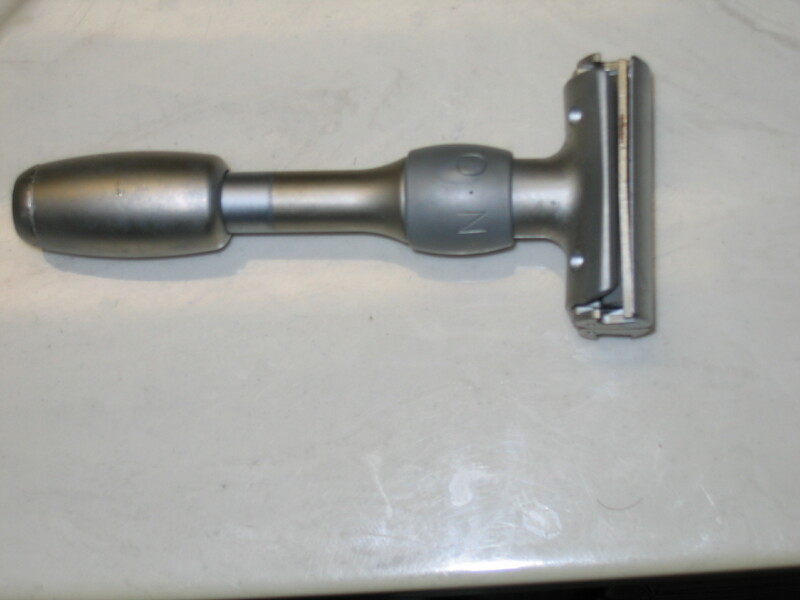 I started doing research and scoured eBay and antique stores for suitable straight razors. I bought a few and it was more intimidating than I had imagined. 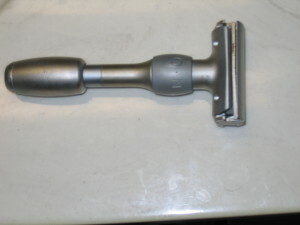 Taking a step back, I bought a safety razor. This option was more manageable, but I still could not get the hang of it. 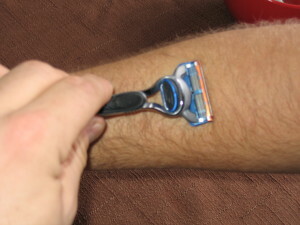 So I went back to the cartridge type razors and tried to figure out how to make them last longer. 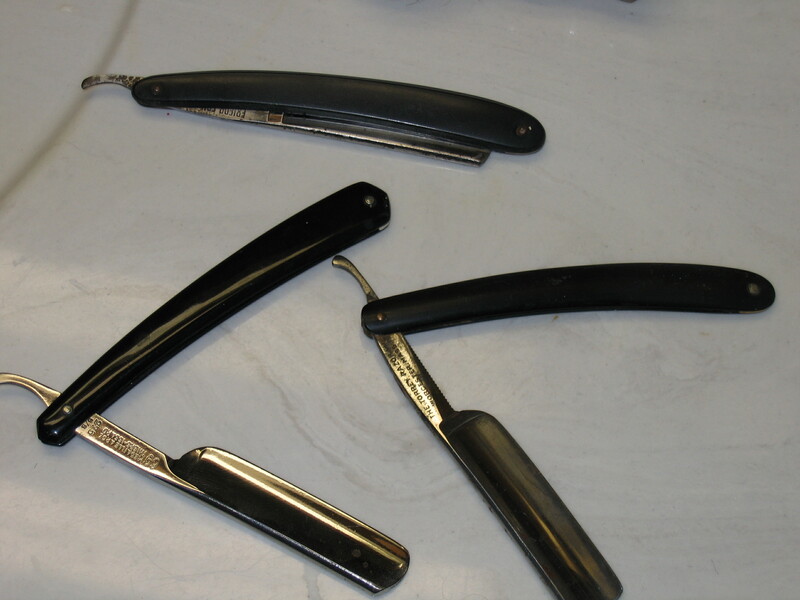 After a brainstorming with my dad, we decided to try “stropping” the cartridge, like you do with a straight razor and a big leather strap also known as a strop. This added life to my cartridges! After a while, I wondered if using the back of my arm would work as well as a leather strop, so I tried it. It worked, my razors went from lasting just over a week to lasting several months! Shocker! If done right, there should be direction to your arm hair. 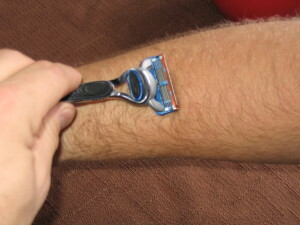 Can you see how the hair changed direction under the razor? Your razor is burr free. Isn’t that simple? 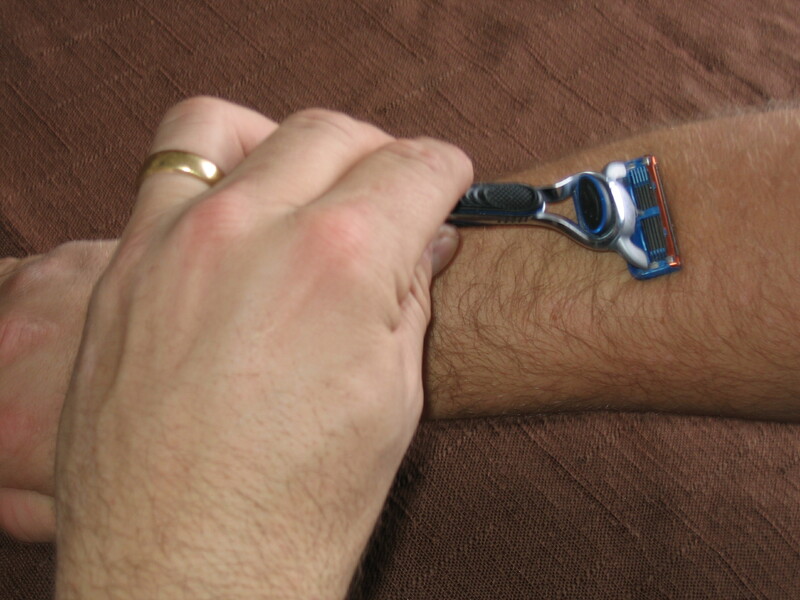 My razors last so much longer now. I would love to hear how this little tip works for you. The next area to solve was shaving cream. At $2 to $4 per can, it was getting pricey. 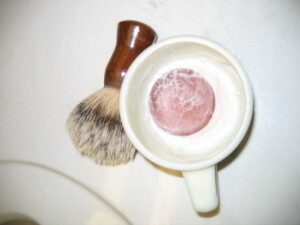 So I went old school and bought a shaving brush and cup. 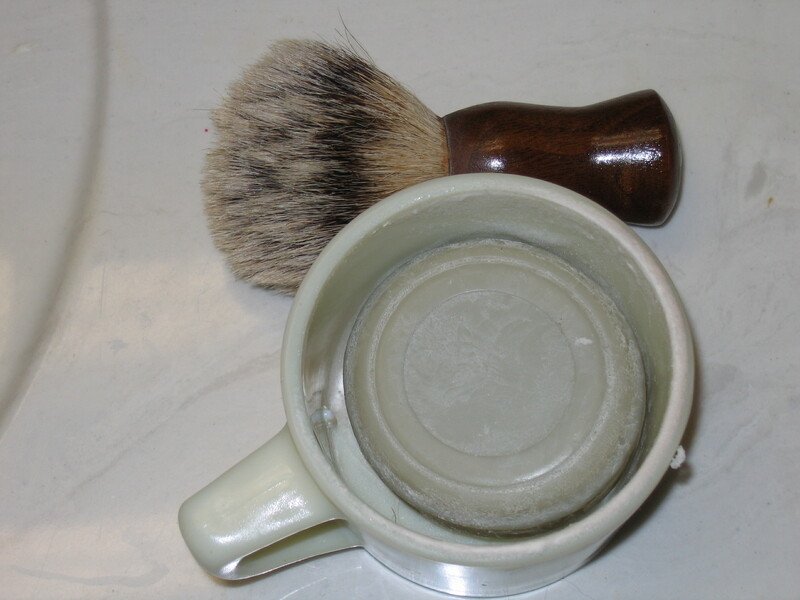 My wife bought a shaving bar at Hairfreeclub.com to see how I liked it, I was surprised at how it lathered and what a difference it made in shaving. The best part was a year later it was finally too small to use, and I had to get another — not to bad for a $3 bar of soap. Those cans cost us about $3 a can and 10 or 12 cans a year is $3o to $36. The cartridges are between $3 and $4 each (depending on if my wife could find a sale and coupon together). This year, I used 40 less cartridges and 10 to 12 less cans of shaving cream. $120 to $160 savings on cartridges alone! These two small changes in my shaving routine have easily saved us at least $150 this past year. Cough season is here. In our family quest to be more natural, label reading has become a pastime. All the chemicals in traditional cough syrup is enough to make any label reader cringe and wonder what kind of side effects do we not know about? Can this really be safe? So what should you do when you a cough or cold? 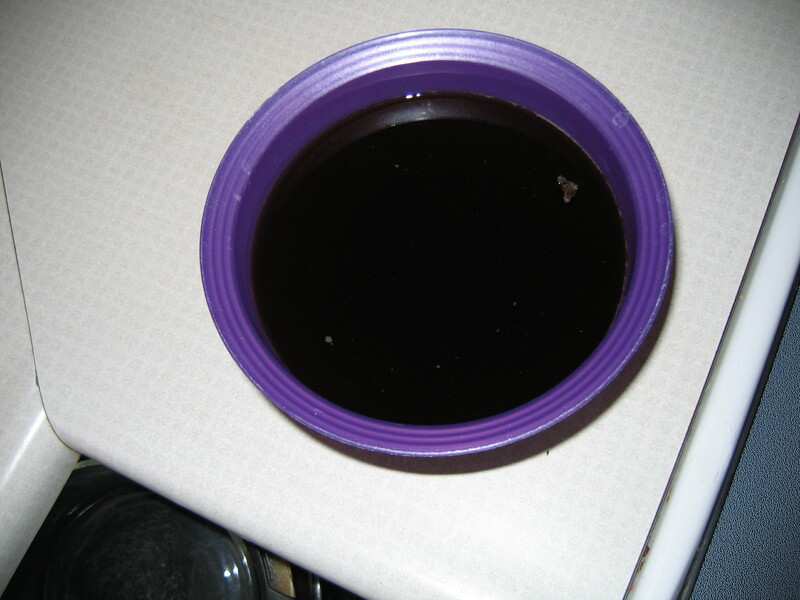 Well after a terribly nasty bought with a cold, I learned honey is a natural cough suppressant from a friend who suggested I use some of our honey stores to make cough syrup and it worked. I had the plague . . . aka a cough, stuffy nose, and sinus headache and pretty much decided I should spend the next couple days hours in bed. In comes my new weapon. optional add ins: Lemon juice, crushed clove of garlic, onion juice. Take a teaspoon every hour and it sure clears our your sinuses. I don’t know that I would give this to kids,it is a bit spicy, but it works like a charm! Between this and my neti pot, I feel fine… now sounding better, well that is another story.